Many TV commercials are watched and immediately forgotten, but one from Dakara seems to be spot on, creating a catchy and memorable commercial. There are few commercials which I find to be catchy and worth remembering, but this one seems to do the job quite well. 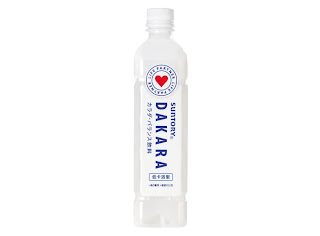 The TV commercial is advertising Dakara, a drink originally from Japan by Suntory. Similar in taste to Pocari Sweat or Coca Cola’s Aquarious, it is an energy drink which is slightly sweet with a mild grapefruit flavour. The reason why it works so well is because the commercial is so simple. It repeats the name of the product over and over again in a nursery rhyme, which is enough to remember and amuse, but not enough to annoy. Having the man moving on the chain makes no sense, but its sheer irrelevance adds to its effectiveness because it helps the viewer to remember, and to support the child-like tune that’s playing. Put together, the two elements make for a memorable commercial which people will actually recall.